Apprentice Jessica Eaton has recorded her first Saturday metropolitan win at Moonee Valley. 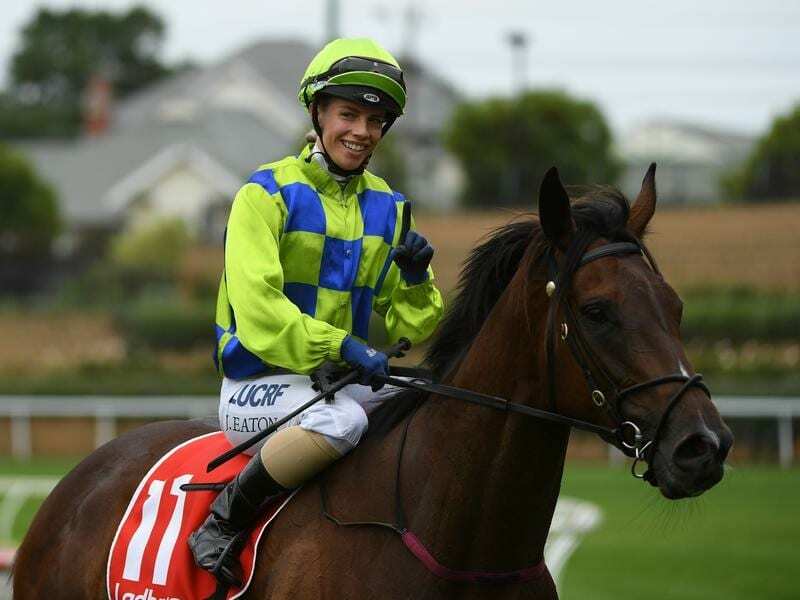 A perfectly judged front running ride aboard Catching Beams has provided apprentice Jessica Eaton a first Saturday metropolitan success. A four-time winner previously at city midweek and night meetings, Eaton gave a polished display on Catching Beams in the Junction Club Handicap at Moonee Valley. Sent out a $13 chance, Catching Beams held on to record a half-head win from the $3.60 favourite Mahis Angel with Welcome Stryker ($11) 3-1/4 lengths away third. Apprenticed to Chris Meagher at Mornington, injuries, especially one recently to a knee, have impacted on Eaton’s career. “Chris is very good and I’ve been getting a lot of support, especially from the Mornington trainers,” Eaton said. “Chris only makes me ride a couple and then I’m able to do outside work for the Mornington trainers and on occasions I go to other tracks when needed to help out with gallops. “To get that exposure is invaluable. Winning trainer Jerome Hunter said he would look at better class races with Catching Beams saying the three-year-old had turned the corner this preparation. “She’s only a three-year-old filly so we’ll have to start thinking about some bigger races,” Hunter said. “I did look at the calendar and there are a few races in Tasmania but logistically I don’t like it, so we’ll just see.